rather ugly hardy coder colors. Still a nice hardy 4k! the colors arent my taste and the style begins to get boring after a while. but the overall feeling is still positive, so thumb! I very much liked this intro. But the colors! So ugly. Good stuff, but improve your colorchoice. Nice and speedy style and code, but this color scheme is giving me eye cancer! Could use a bit more blue sometimes, still nice. Looked awesome on the big screen. nice you released a 4k at revision. 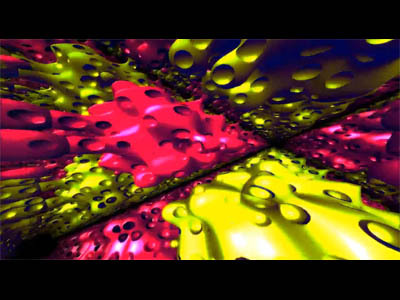 Generic raymarching, coder colors, primitive movements and uninteresting music.